Marianela Collado, CPA/PFS, CFP®, joined Tobias Financial Advisors in October 2015 as a Senior Financial Advisor and is a co-owner of the firm. Marianela serves clients in a team setting by collaborating with clients and their professional advisors to ensure the client’s overall financial planning and investment objectives are pursued in the most tax efficient manner. Marianela has over 15 years of experience in the tax and financial planning arena. She has worked with many ultra-high net worth families and assisted with the implementation and reporting of complex income and wealth transfer strategies. Marianela has been quoted in various financial and non-financial media outlets including the Wall Street Journal, New York Times, CNBC, MentalFloss.com, and NerdWallet.com. She has also been featured in articles related to tax and financial planning in the El Nuevo Herald. In 2017, Marianela received the American Institute of CPA’s Standing Ovation Award. She was among 16 CPAs nationwide under the age of 40 recognized for their contribution to personal financial planning and was a nominee for the 2018 FICPA Women to Watch award. 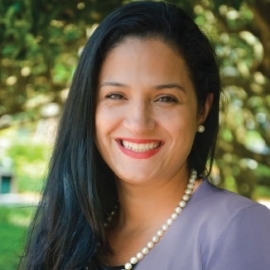 Prior to joining Tobias Financial Advisors, Marianela was a Principal at Bessemer Trust. She joined Bessemer Trust in 2004, as a member of the Client Tax Services department and subsequently worked with Bessemer’s client advisory team in Miami providing wealth and tax consulting services. Prior to joining Bessemer, Marianela was a Senior Tax Associate with Wealth and Tax Advisory Services (formerly Arthur Andersen and now Andersen Tax) in New York, specializing in compliance and planning for high net worth individuals. Marianela has honorably served as a member of the Florida Institute of CPA’s Women’s Leadership Committee from 2013 to 2017. In addition, she is a founding member of the recently established West Broward Chapter for the National Association of Divorce Professionals and serves as the chapter’s Director. With a certification in collaborative divorce practice, she is also a member of the Collaborative Family Law Professionals of South Florida. 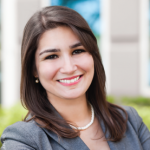 Marianela serves on the Nova Southeastern University’s Planned Giving Council and is a Board Member for Gilda’s Club South Florida. Marianela received a B.S. in Accounting from Hunter College in New York City in 2000. She is a member of the National Association of Personal Financial Advisors, the American Institute of Certified Public Accountants, the Florida Institute of Certified Public Accountants, the West Broward Estate Planning Council, the Financial Planning Association and the Florida Institute of Certified Public Accountants. Marianela is passionate about her clients at Tobias Financial Advisors, but outside the office she enjoys spending time with her husband and three boys, who keep her very busy with sports activities and playdates with friends in their Weston, FL community.